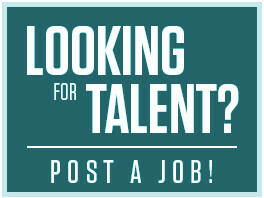 REQUIREMENTS: Bachelor’s in Fine Arts or Visual Arts, & 2 yrs. exp. as visual artist. Req. skills in sculpting, fine craft pottery, Adobe Illustrator, Autocad, Photoshop, drawing, & painting. JOB DUTIES: Design, draw, paint & sculpt in clay to be used for bronze and animal hides. REQUIREMENTS: Master of Science in Computer Science or related field and 1 year of experience in the job or 1 year of experience as a Software Developer or in a related occupation. SPECIAL REQUIREMENTS: Any suitable combination of education, training &/or experience is acceptable. JOB DUTIES: Architect, design, and develop robust software. Deliver high-quality, tested, maintainable code. Develop and implement software programs. Maintain and improve the performance of software. Communicate with management and technical support. Design and update software database. Test and maintain software products to ensure strong functionality and optimization. Recommend improvements to existing software programs as necessary. CONTACT: Please send resume/contact E. Garcia Reynoso for an appointment. REQUIREMENTS: 4 years experience in the job offered or in the alternate occupation of alcohol packaging and branding designer creating brands, label, and bottle designs and concepts for the alcoholic beverage industry. JOB DUTIES: In coordination with executive-level personnel, oversee all functions of the design and production teams in London, NYC, and San Francisco to create brand, label, and bottle designs for the niche alcoholic beverage industry. Create alcoholic beverage brand and packaging designs. Consult directly with clientele to create design concepts that meet their business requirements and increase the sales potential of products. Co-Manage NYC studio and serve as part of the international organization’s senior leadership team. Research and analyze industry-related trends, including competing designs, in order to maintain and improve company’s significant reputation and market share. Supervise subordinate designers and production workers across all three offices, train them in company’s unique approach to design and branding, and possess final approval of subordinates’ work product. Monitor technological developments and innovations in specialized fields of printing, bottling, and glass manufacturing. Proficiency in Adobe Illustrator, Adobe Photoshop, Adobe InDesign as well as the capacity to converse in Apple Mac OSX environment.